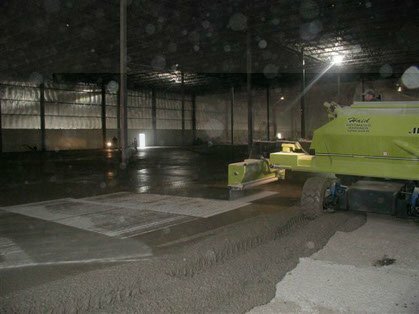 When you work in commercial construction or any other business that has applications that require precision finishing of concrete, it pays to have a local source that offers the latest equipment and technology. 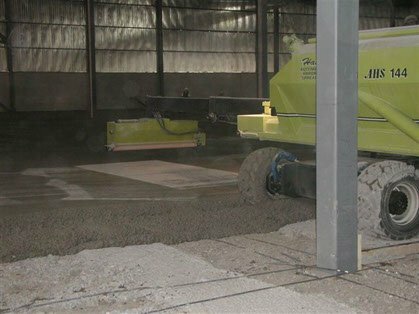 As an industry leader that is always on the cutting edge of innovation, Dynamic Concrete was the first in Western Canada to utilize a hardener spreader. 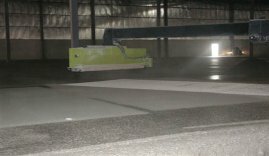 Whether you are located in Calgary, Alberta, Saskatchewan or British Columbia, we have the concrete hardener spreaders capable of finishing concrete slabs to your unique specifications. 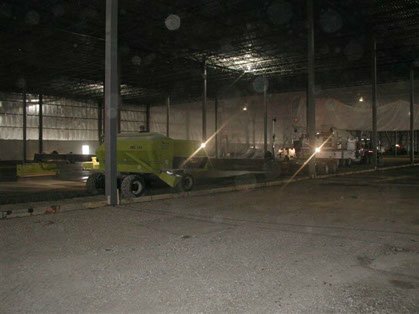 Dynamic Concrete Pumping, Inc. utilizes the Haid Automated Hardener Spreader to quickly and efficiently tackle commercial and residential projects. 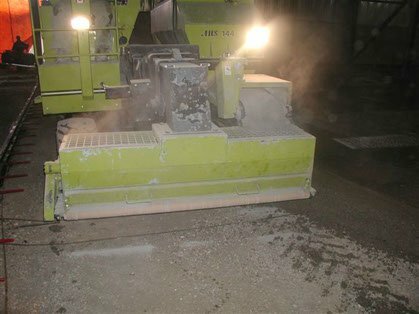 This machine has been proven to spread up to 200 pounds per 100 square feet with an even spread of material and very consistent quantity per square foot. 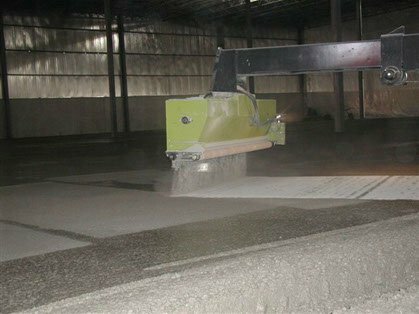 The speed, consistency and ease of use of our concrete spreader machines help reduce costs and keep jobs on schedule and within budget. 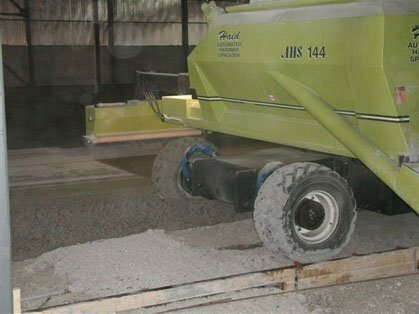 When using this spreader, there is no dust and no cleanup required after completing a pour. 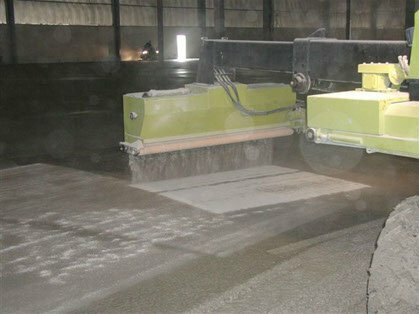 This machine is very fast as it spreads material in both outward and inward directions. 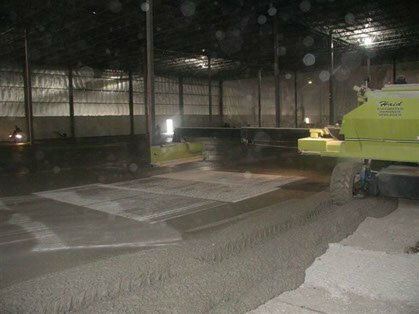 The spreader will load the hardener and spread the product with high accuracy. 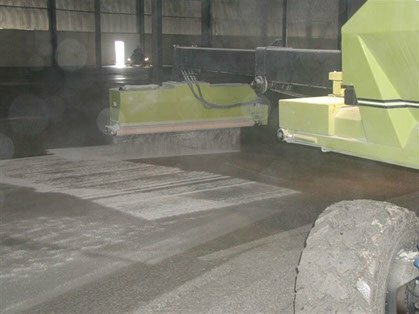 Our floor hardener spreader will outpace conventional placing methods whether you are pouring, placing and finishing concrete for a warehouse, industrial complex, office building, high-rise or a variety of other work environments. 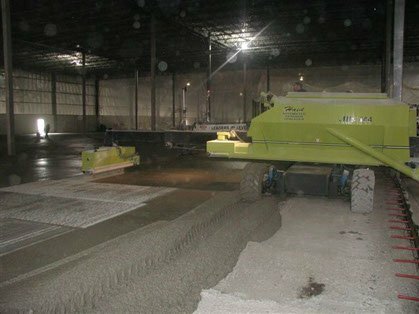 Dynamic Concrete has completed projects requiring high quantities of hardener using this machine, distributing hardeners and toppings in an accurate and proper method. We are among the most experienced and respected concrete pumping and placing companies in Western Canada, delivering the service and support you need to improve results and grow your business. Our extensive fleet of late model, expertly maintained equipment ensures we have the solutions you need in stock and ready to perform. Instead of purchasing your equipment to get the work done, you can take advantage of the benefits listed above, as well as the fact that you won’t have to worry about equipment maintenance, repairs, servicing or storage. Reach out to our company, and we’ll deploy highly trained team members to complete your project quickly and correctly. 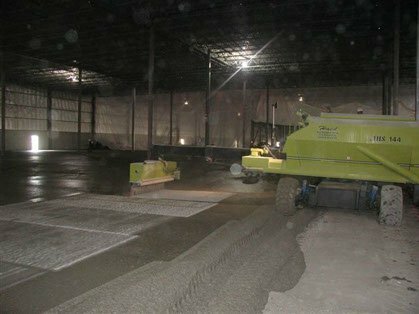 Contact Dynamic Concrete Pumping for more information on our fleet of concrete spreader and hardener machines. Give us a call or submit an online request form today!